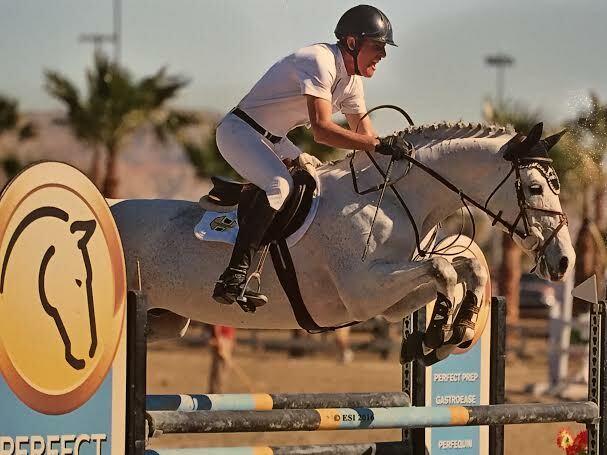 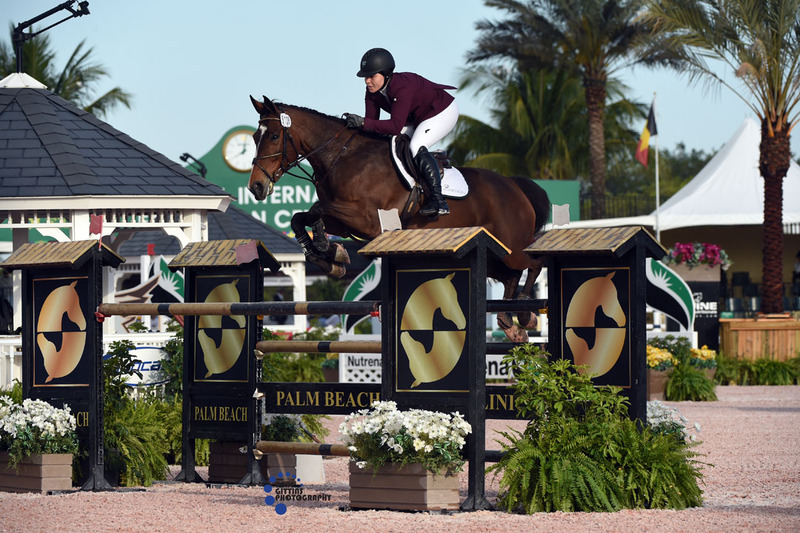 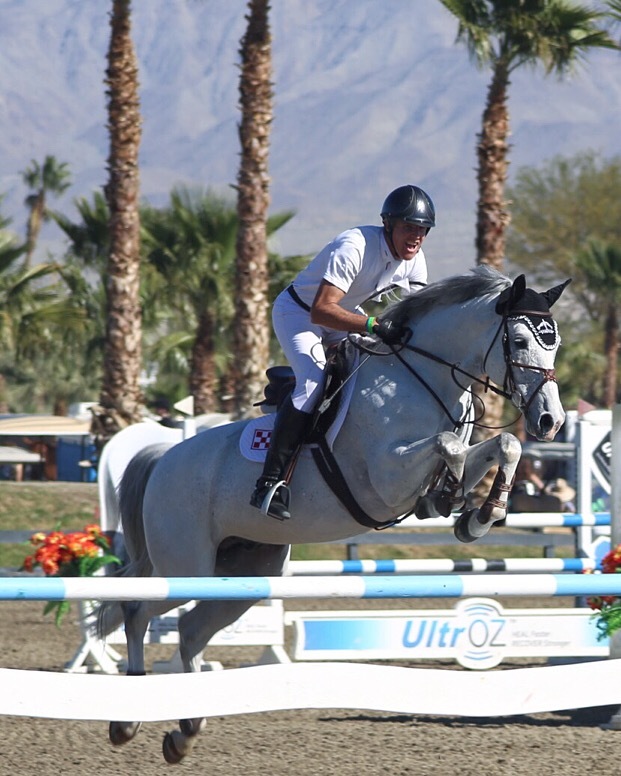 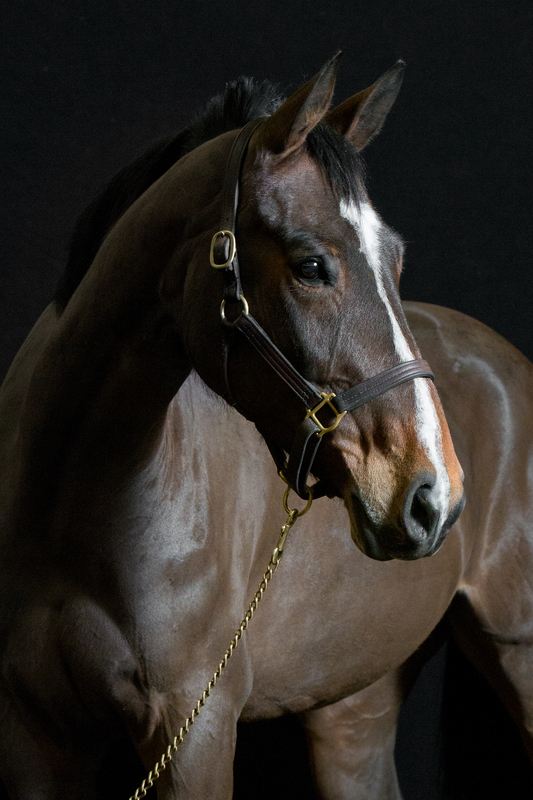 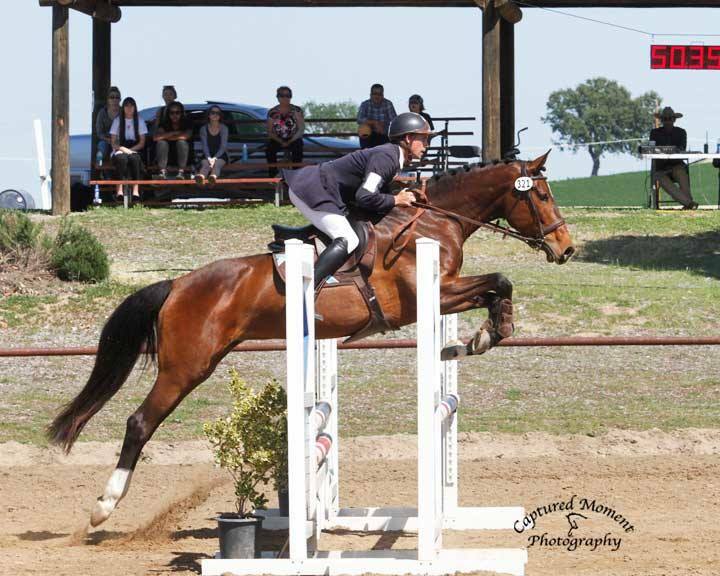 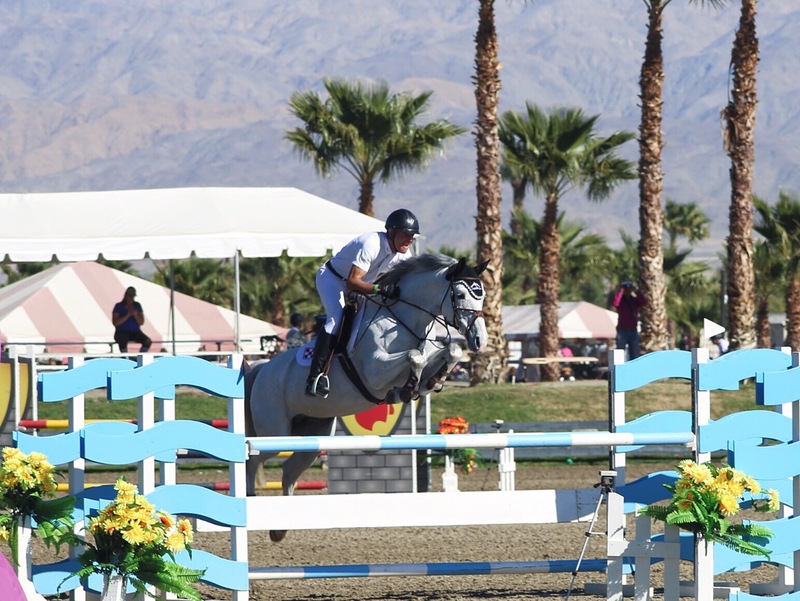 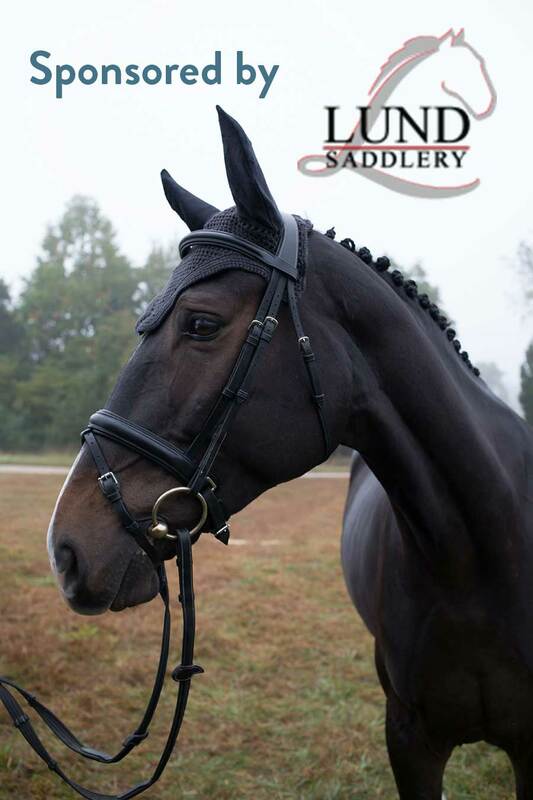 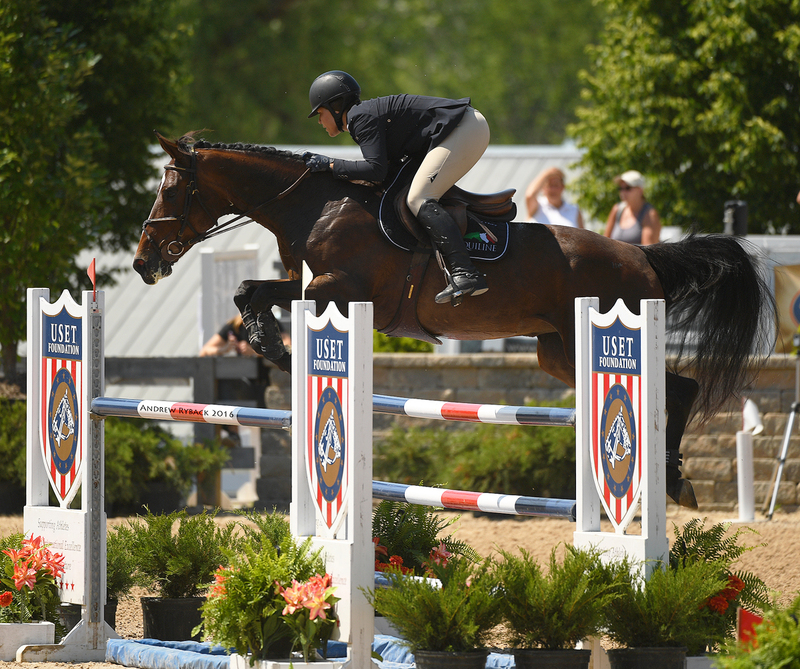 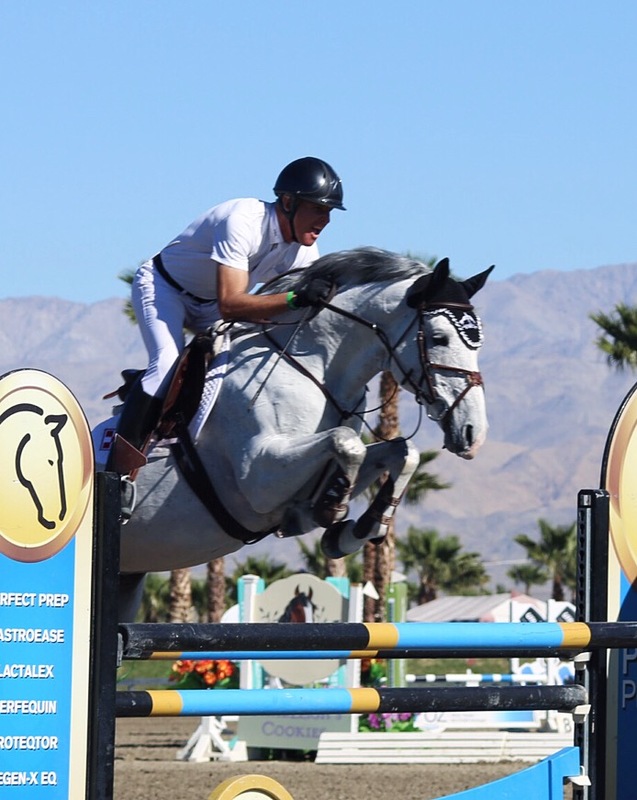 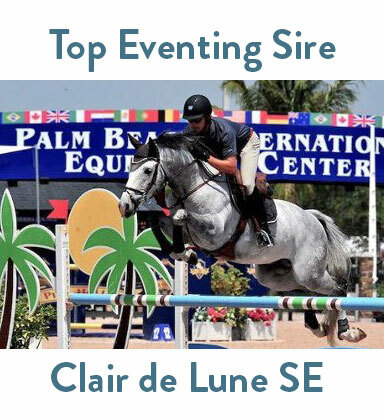 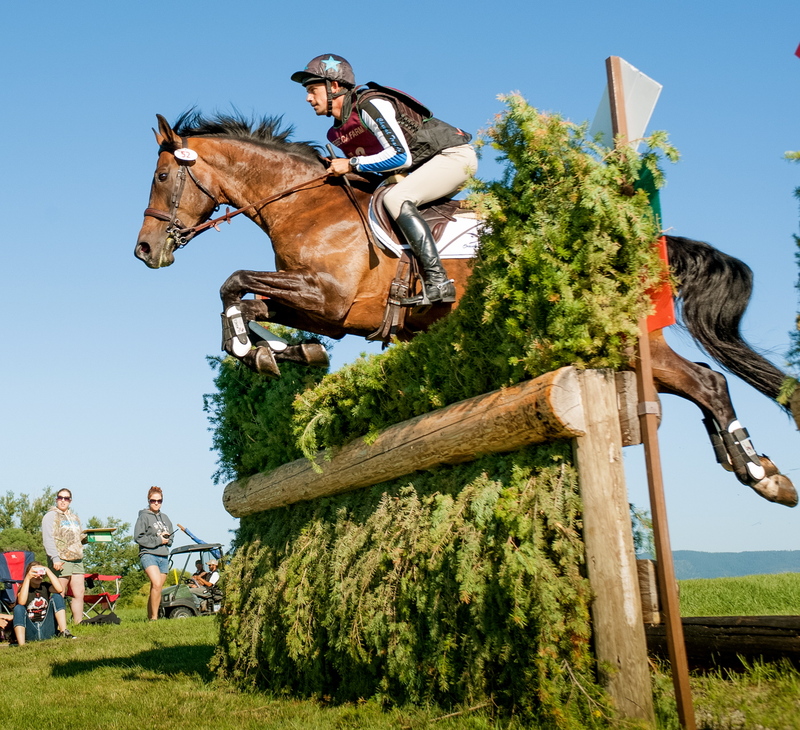 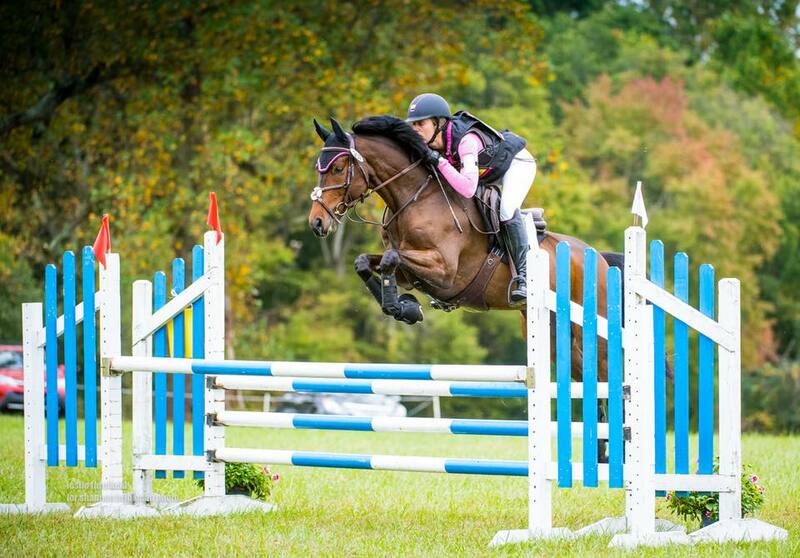 MI Campeon SE-(Clair de LuneSE x Pikadero) won the Young Jumper futurity in 2017 and is currently rated the #1 North American young event horse after his performance at Fairhill International YEH finals in October 2017! 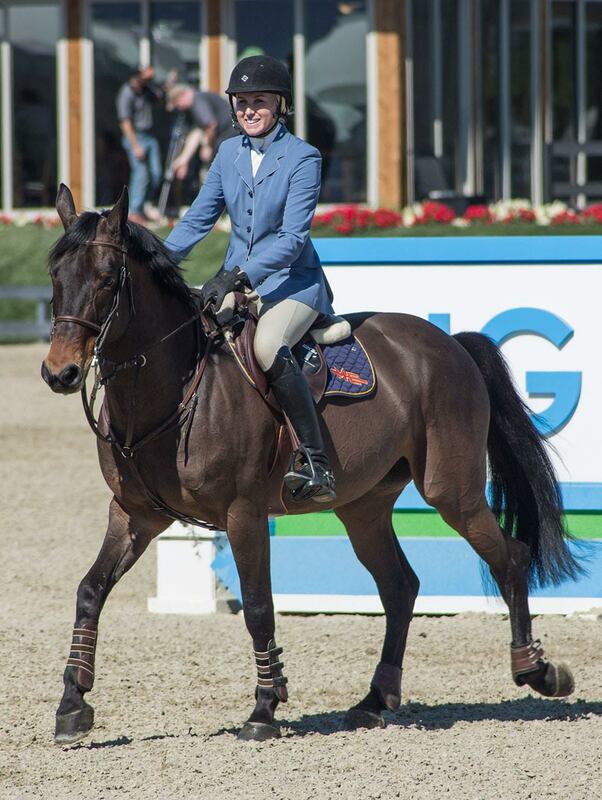 Milagro SE-(Clair de LuneSE x Alme) is rated the #2 North American bred young event horse for 2017 after her performance at Fairhill International YEH finals. 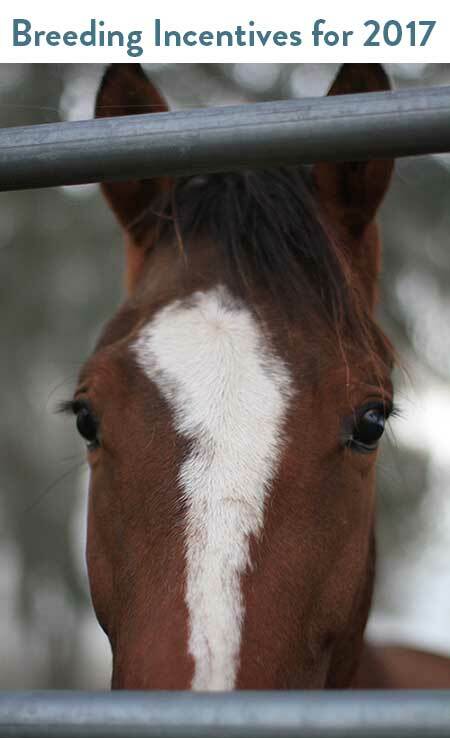 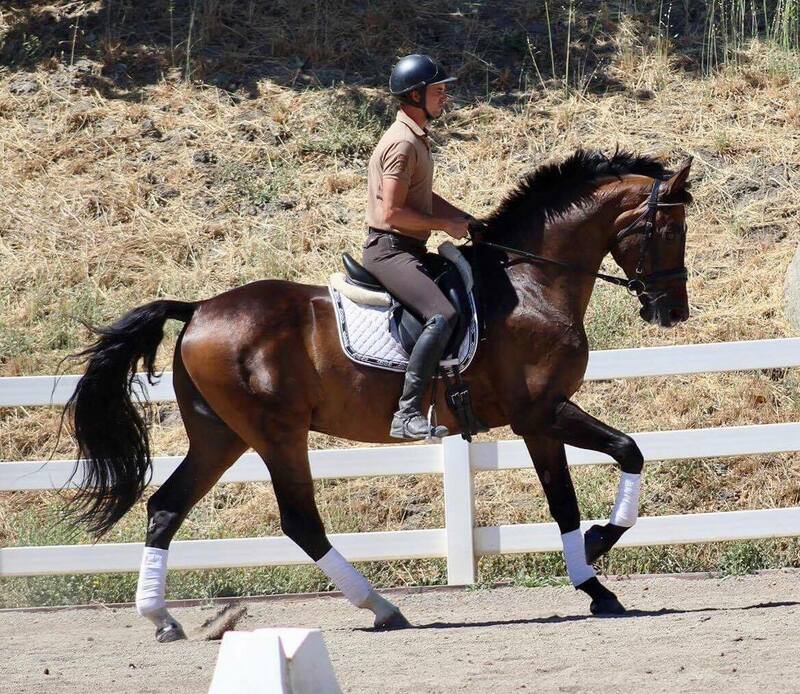 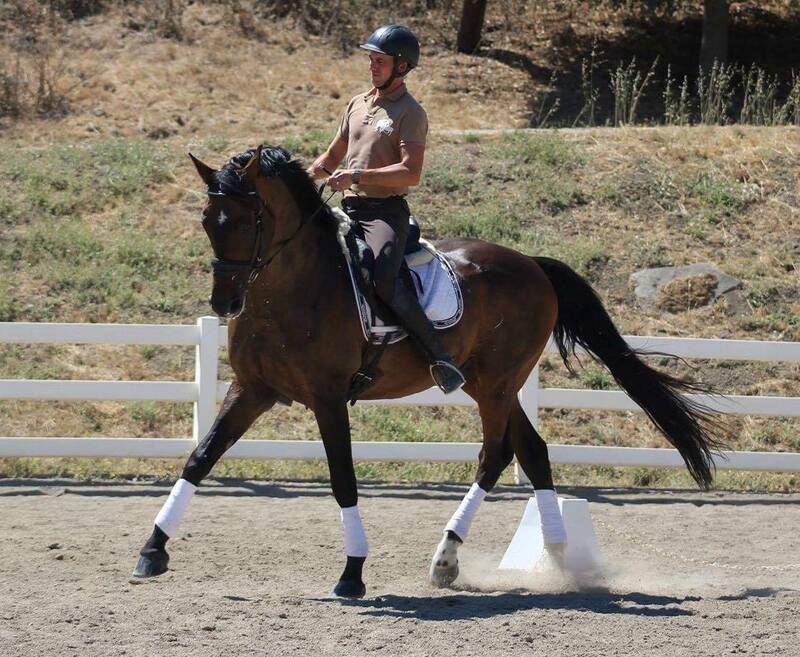 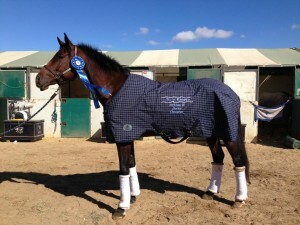 FOR HIS PLEASURE SE (FOR PLEASURE X DARCO)-currently leased. 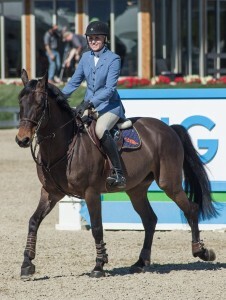 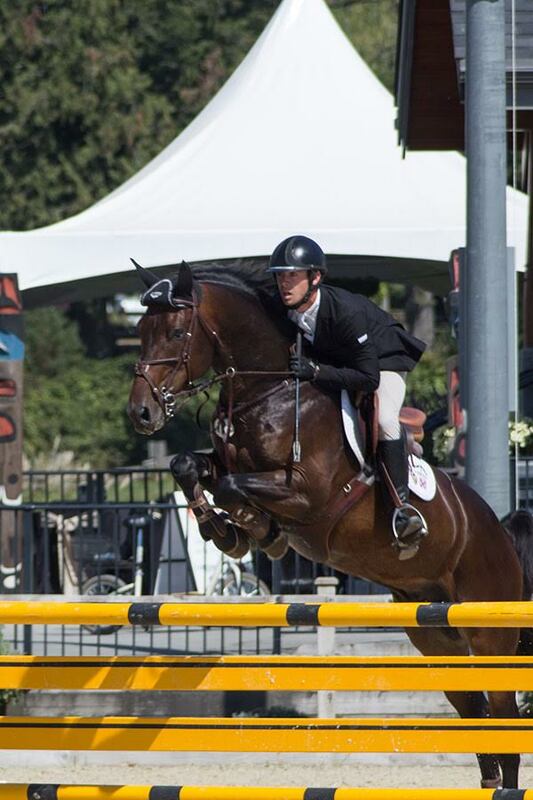 SEEN HERE COMPETING AT THUNDERBIRD SHOWPARK, IN LANGLEY, BC WITH CHRIS FELLERS IN THE IRONS. 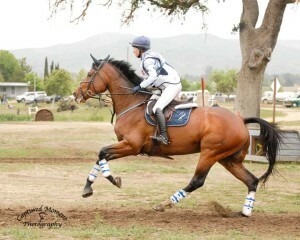 competing here with Marilyn Little at Plantation HT. 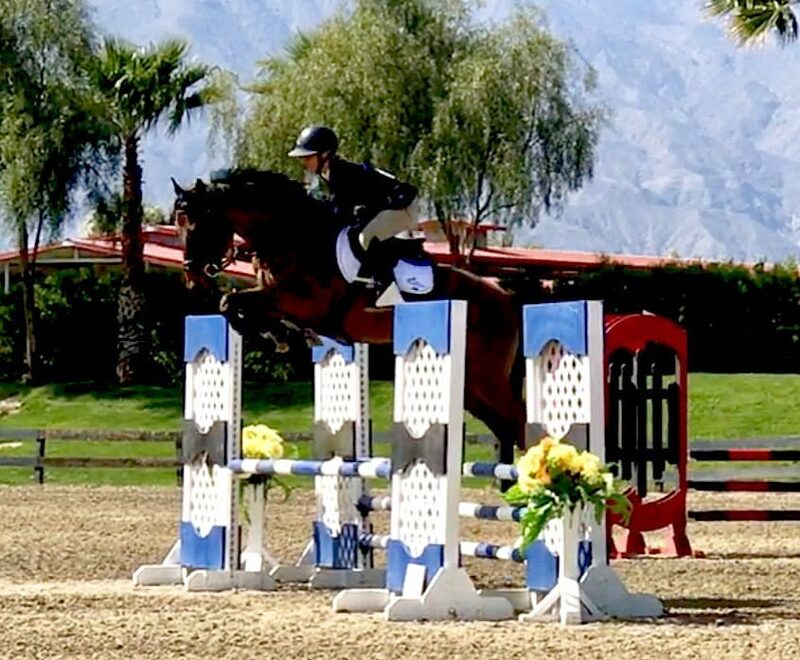 FOR HIS GLORY SE (FOR PLEASURE X DARCO) Seen here competing with Taylor Flury of Aliboo Farms where she has competed successfully to 1.40. 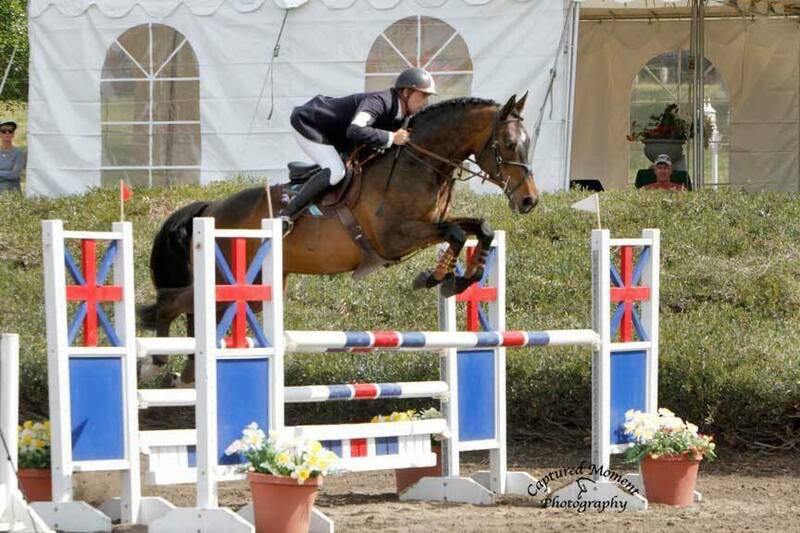 We are selling embryos out of this mare for 2018- 2019.
competing in Grand Prix with Jamie Sailor and Mike Edrick Stables. 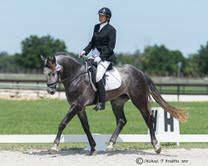 USA SE- available for lease in November 2017. 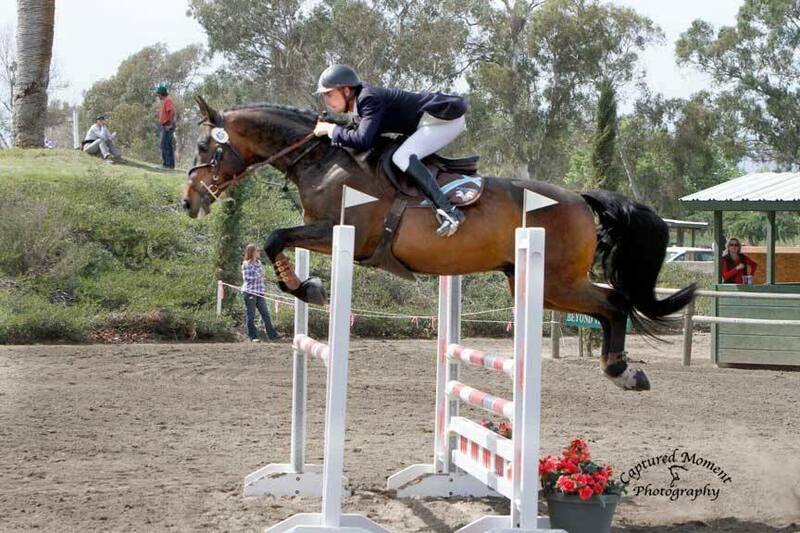 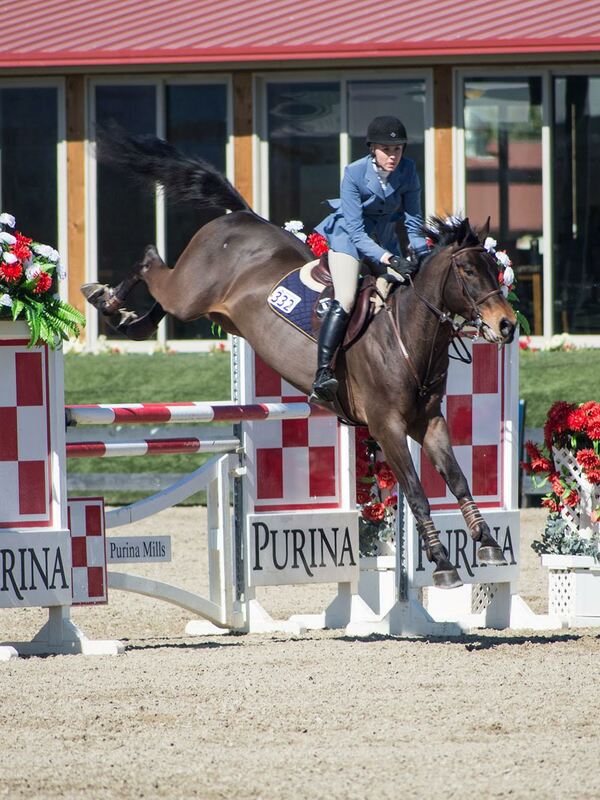 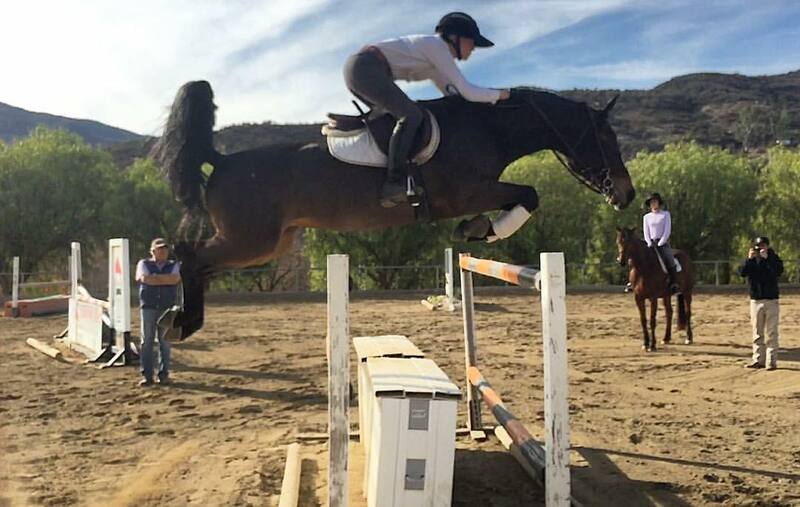 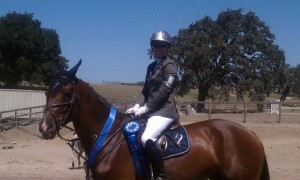 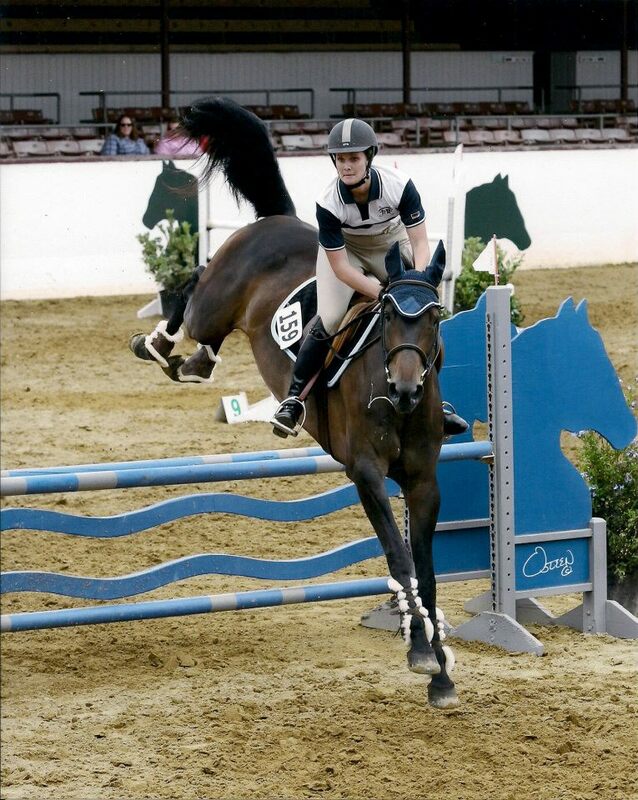 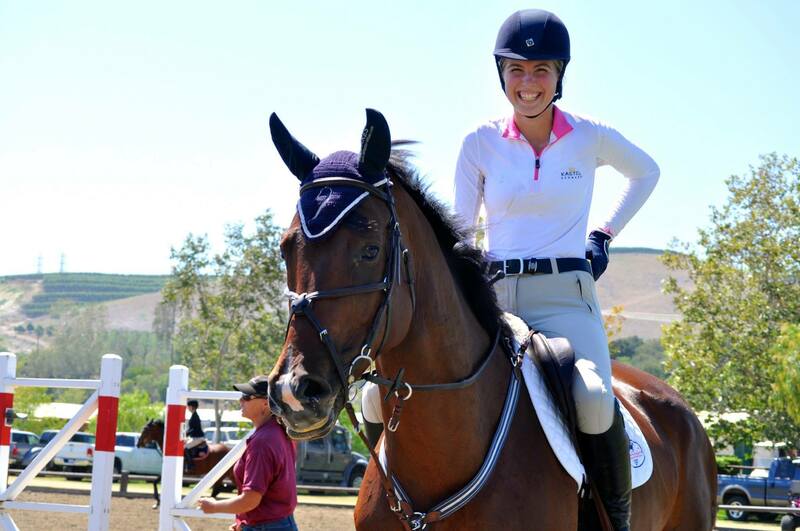 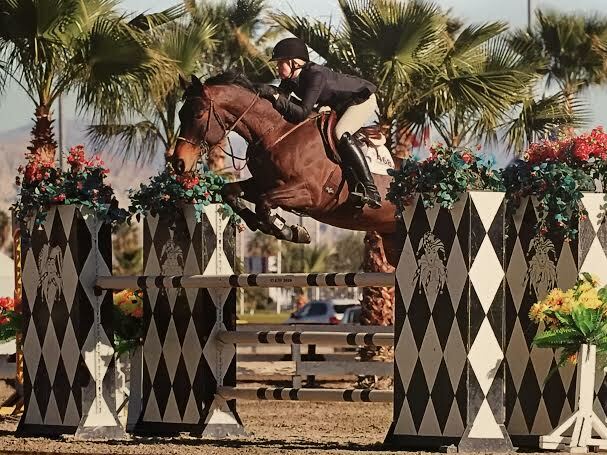 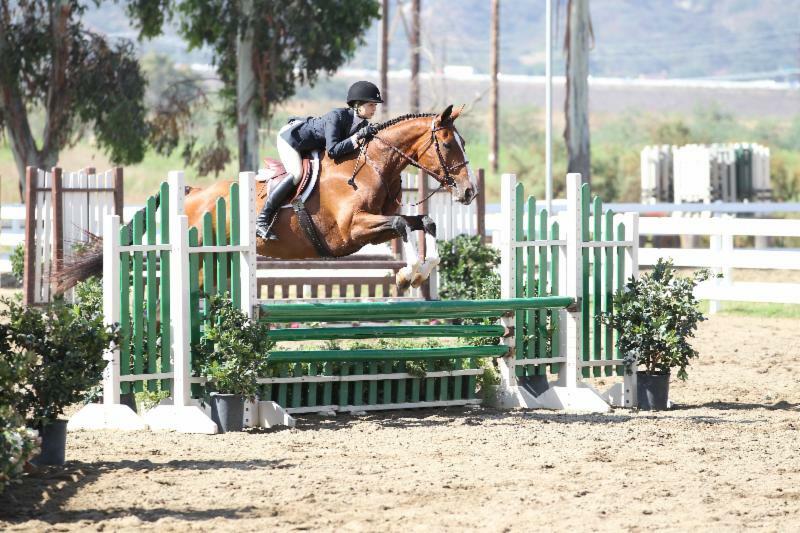 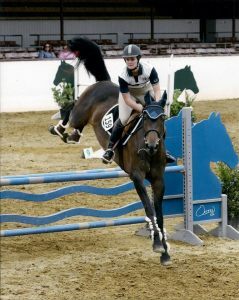 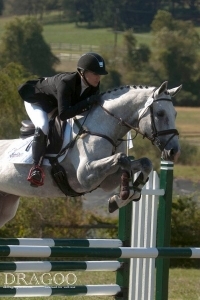 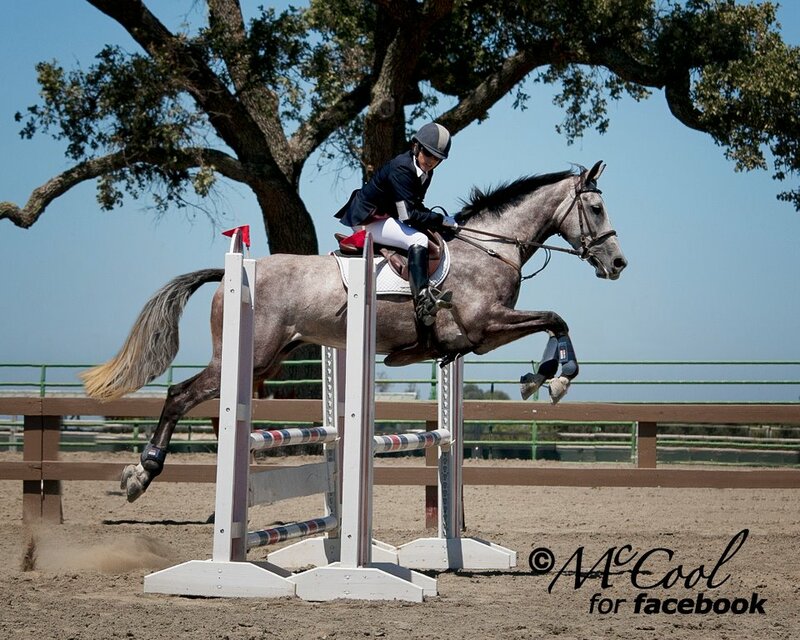 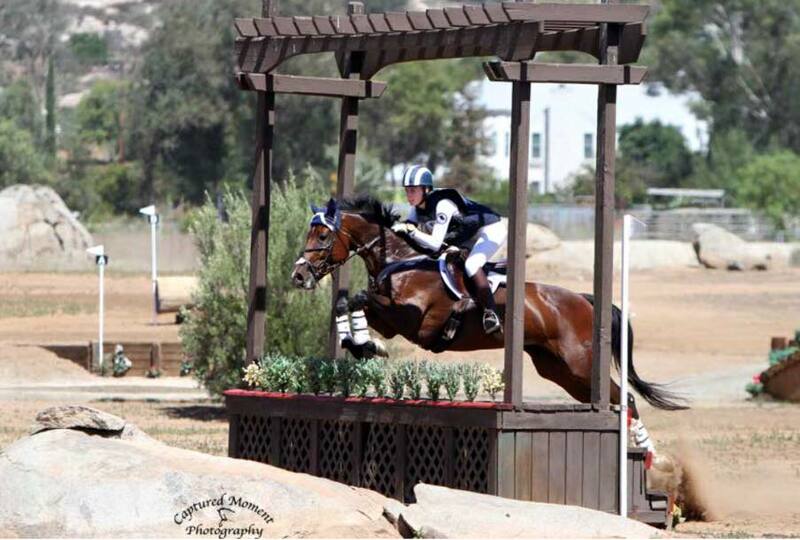 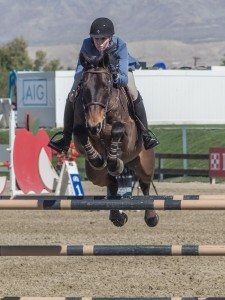 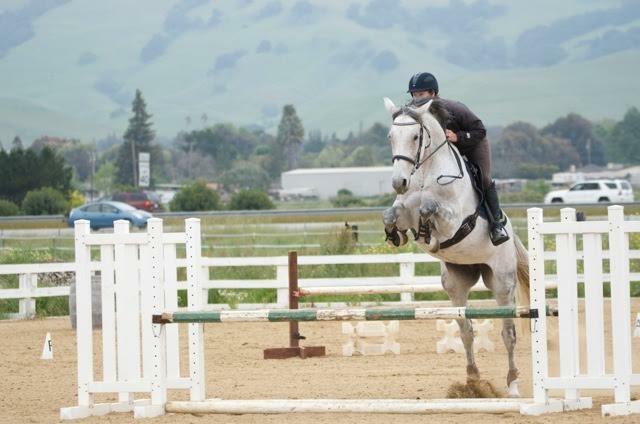 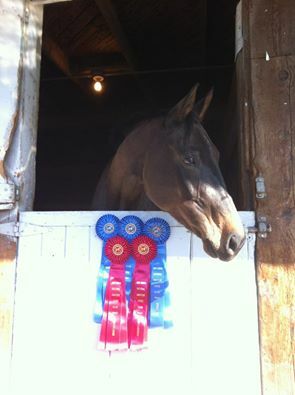 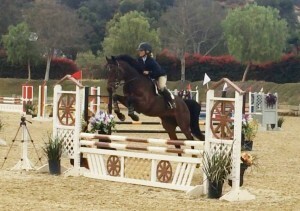 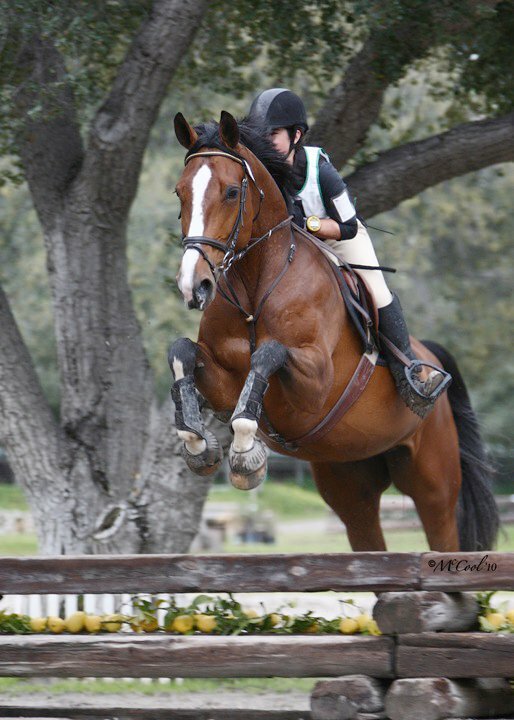 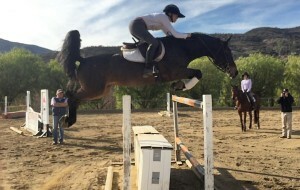 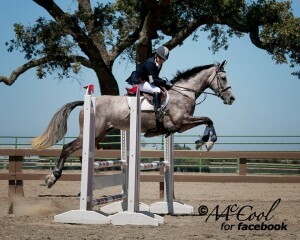 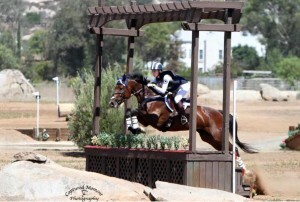 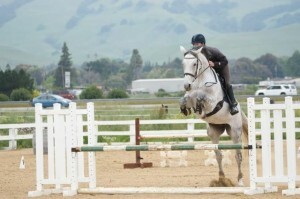 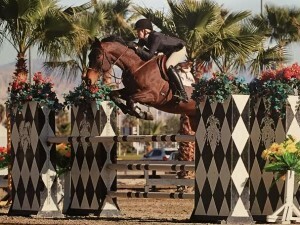 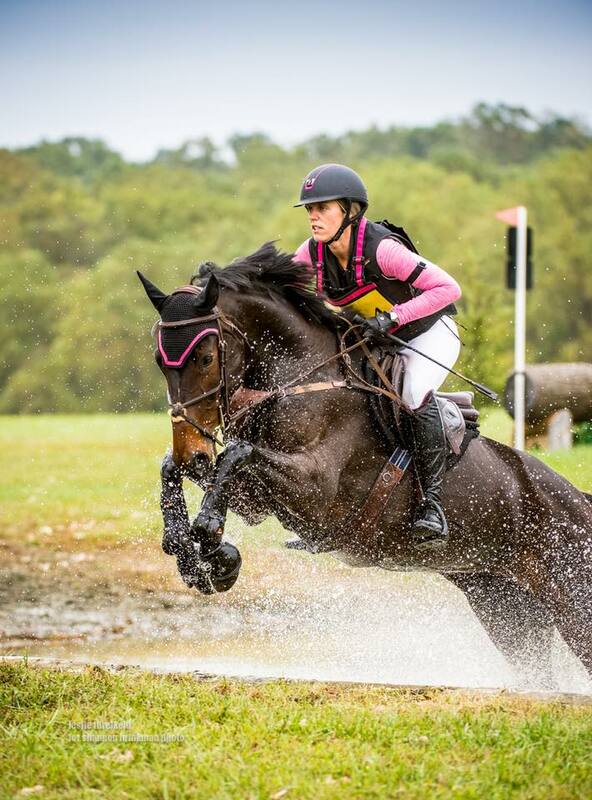 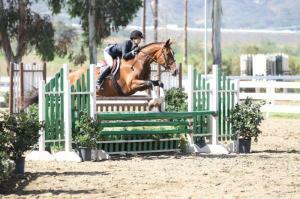 Sold and now competing with Kelsey Holmes in jumpers and eventing.